What is being done about TDR-TB in Mumbai? Did Udwadia et al do the right thing with their reports of TDR-TB? Diagnostics and active case finding for TB: what are more sensitive tests actually detecting? April’s nurse edition of HATiP explores why there is now a push to integrate and decentralise collaborative TB/HIV activities and how integration and decentralisation affects both the patients and the nurse or community health worker. To upload this edition of HATiP, please click here. This edition of HATiP explores efforts to improve TB case detection in children which highlight problems in defining how TB should be diagnosed in children, and examines several consensus definitions. In addition it looks at prevention of TB in children and HIV exposed neonates, new tools and it features expert comment on the key challenges in integrating TB and HIV into maternal, neonatal and child health services. To upload this issue of HATiP, please click here. This World TB Day edition of HATiP focusses on TB/HIV in pregnant women and children, and emphasises the need for greater integration of TB/HIV activities into maternal, neonatal and child health services. To upload this issue of HATiP, please click here. This second special nurses’ edition of HATiP summarises the latest evidence surrounding ART for prevention; meeting the needs of people living with HIV for family planning, sexual health and reproductive services and discusses the task shifting aspects of laboratory developments, including point of care CD4 cell count counting machines and the Xpert RIF/MTB TB test. To upload this issue of HATiP, please click here. This is the first of a special monthly edition of HATiP for nurses and other health care workers involved in task-shifting in sub-Saharan Africa. This particular edition includes inter alia features on: nurses revolutionising South Africa’s HIV and HIV/TB response; task shifting to trained lay personnel and peer care-supporters; screening for TB in patients with HIV and rolling out IPT and addresses the challenges of TB prevention. To upload this issue of HATiP, please click here. This January 2012 edition of HATiP looks at the relationship between active case finding and laboratory tests for TB, together with the importance of strengthening of laboratory diagnostic capacity when scaling up active case finding efforts. Also included is coverage at the 2011 World Lung Health Conference in Lille on the implementation and effectiveness of the WHO 4 TB symptom screen to rule out active TB before initiating IPT; new tools to support diagnosis and clinical management of asymptomatic cases and debates whether we should move to laboratory screening rather than symptom screening for active TB case finding among all people living with HIV and if GeneXpert is only capturing cases of reactivated TB. To upload this issue of HATiP, please click here. This issue of HATiP which also includes an HIV and TB in Practice edition, explores the methodology, results, outcomes and implications of the ZAMSTAR study. This community-randomised study evaluated the impact on TB and TB/HIV by reaching out beyond the confines of the clinic for TB and HIV cases in 24 communities in Zambia and the Western Cape of South Africa. To upload this issue of HATiP, please click here. This edition of HATIP reviews the latest scientific findings and explores what is known about the potential benefits and the limits of antiretroviral therapy (ART) for TB prevention and control, and the clinical implications if ART isn’t enough to prevent TB. To upload this issue of HATiP, please click here. HIV & AIDS Treatment in Practice: HIV and non communicable diseases (NCDs), where are the synergies and challenges? This edition of HATIP, whilst primarily focusing on the relationship between HIV and non-communicable disease also looks at how the growing pressure to do more to combat NCDs could have an impact on HIV and TB programmes. This could be a negative impact (loss of funding and political attention) or it could be more positive (a greater commitment to investing in healthcare for chronic diseases, and a willingness to learn from the HIV response to develop better systems for care of chronic health problems). To upload this issue of HATiP, please click here. 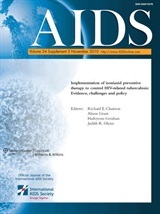 The 7 September 2011 issue of HATiP which includes a regular spot for TB and HIV in practice, analyses the integration of HIV with other health services, including HIV, TB and maternal care. It also explores the strengths and weaknesses of the different models of TB/HIV service integration and analyses the progress so far towards integration, as reported at the International Aids Society Conference 2011. To upload this issue of HATiP, please click here. The HIV & TB in Practice feature of the 14 July 2011 issue of HATiP analyses findings from studies presented at the 5th South African AIDS Conference held in Durban in June 2011, primarily focusing on lessons learnt as a result of the impressive scale-up of isoniazid preventive therapy (IPT) in South Africa. The article also covers the staged implementation of IPT in Ugu District Health services, KwaZulu Natal, which includes the important issue of infection control, and elaborates on the value of nurse mentoring and community linkages in improving the uptake of IPT. To upload this issue of HATiP, please click here. This edition of HATIP is a report on a meeting between WHO and civil society organisations in southern Africa held in December 2010, designed to examine ways of promoting greater community engagement to ensure the effective implementation of the Three I’s for TB/HIV in the region. Please click here for this issue of the newsletter. This edition of HATiP looks at the new WHO guidelines on intensified TB case-finding and Isoniazid preventive treatment (IPT), issued in December 2010. It discusses the new symptom-based screening algorithm recommended for excluding active TB prior to starting IPT, the recommended regularity of TB screening, the length of Isoniazid preventive therapy and the role of the tuberculin skin test. This issue reports on the recent Union World Conference on Lung Health in Berlin in December 2010. Relevant items include: Highlights from WHO's report on Global Tuberculosis Control 2010 with a brief overview of the progress made to meet global TB targets including progress in increasing access to collaborative TB/HIV interventions; Latest developments in the drug research pipeline, including the most promising research findings for TMC207, a new drug that could significantly shorten both drug resistant and drug sensitive TB therapy; The likelihood and implications of self-testing for TB and HIV in Africa; Analysis of findings from a recent trial in India showing that patients with HIV and tuberculosis taking a once daily regimen of Nevirapine and TB treatment containing rifampicin were at significantly more risk of developing a recurrence of TB than those taking Efavirenz; Results from two studies from Rwanda and Cambodia, providing evidence that a reduction in time between the start of TB treatment and antiretroviral treatment is associated with a significantly reduced risk of death in patients with a low CD4 count. Click here for this issue of the newsletter. This edition of HATiP describes the sequence of care required, from case detection of a person with multi-drug resistant TB to cure or end of life care when cure is impossible. It outlines the common side effects and highlights some of the key messages, challenges and controversies as described in recent conferences, by experts and during site visits in India and South Africa. In addition, it details practical field examples of adherence education, patient support and infection control, and underscores the importance of palliative care as an essential component of the care package when working with individuals and families affected with drug-resistant TB, particularly in the context of HIV. Click here for this issue of the newsletter. This issue explores how treatment and care for MDR-TB can be delivered in the community, looking at examples of successful community-based models of TB care delivery implemented in Peru, Lesotho, South Africa, Nepal and India. The article further compares the benefits of the more holistic service that community care and out-patient clinic-based care offer over the more costly hospital based model where risk of transmission of undetected drug resistant strains can be higher. Click here for this issue of the newsletter. This issue gives an outline of the developments in the diagnosis of drug-resistant TB among people living with HIV (prior to WHO endorsing Xpert MTB/RIF), with an overview of the strengths and limitations of available technology. It also provides recommendations about the minimal national diagnostic tool kit necessary and which patients should be prioritized for drug resistance testing in resource limited settings. Click here for this issue of the newsletter. The HIV & TB in Practice feature of this edition presents the results and preliminary analysis of findings from the Camelia (CAMbodian Early vs Late Introduction of Antiretroviral drugs) randomized study of 661subjects, carried out between 2006-2009. The study concludes that earlier initiation of ART significantly enhances survival among people living with very advanced HIV. These findings are consistent with previous study findings and provide more evidence that supports the 2010 WHO recommendations to begin ART in TB patients as soon as possible after starting TB treatment. Also discussed in this edition are the results from the THRio study, Brazil presented at the XVIII International AIDS Conference in Vienna. The study results suggest that TB incidence would be greatly reduced among people with HIV if they could start taking Isoniazid preventive therapy (IPT) without having to wait for the results of a Tuberculin skin test (TST). Click here for this issue of the newsletter. This issue provides a clinical review of the root causes of drug resistance in TB, an overview of the global trends and burden of multi-drug and extensively drug resistant TB and the best strategies to prevent its development, to treat it in the community and the importance of infection control. It also outlines evidence relating to the association between HIV and TB drug resistance and the risk factors for poor treatment outcomes. Click here for this issue of the newsletter. This edition of the HATiP newsletter reports on the some of the key issues raised at the South African TB Conference held in Durban in June 2010. In addition to reporting on South Africa's political challenges, opportunities and successes, the regular HIV & TB in Practice feature focuses on South Africa's research findings regarding the 2006 WHO algorithm for smear-negative TB, the challenges of clinical deterioration of HIV positive patients during TB treatment, drug toxicities and TB-IRIS, and the need for timely initiation of ART in patients with both TB and HIV. Click here for this issue of the newsletter. This edition reviews the Policy guidelines for collaborative TB and HIV services for injecting and other drug users and how these guidelines can be put into practice. To help illustrate the challenges and potential solutions of practical implementation of the guidance on the ground, case studies were carried out and have been documented for Brazil, Ukraine, Zanzibar and India. Click here for this issue of the newsletter. This edition examines approaches to integrating TB/HIV services into interventions for injecting drug users in India. The country with the largest 'concentrated' epidemic in the world - and the world’s largest burden of TB - India is now facing an emerging HIV epidemic among injecting drug users, a group at particularly high risk for TB. This issue looks at the successes of the Indian approach, and also examines the challenges. These lessons are likely to be relevant wherever countries are facing emerging HIV epidemics among injecting drug users. This issue also reports the key points from new WHO TB treatment guidelines, which recommend changes to the TB treatment regimen for people living with HIV. This edition looks at recent research on how HIV care is delivered in TB services, and considers the need for closer integration of TB and HIV services following the recent WHO recommendations that all people with HIV diagnosed with TB should receive antiretroviral therapy, and that it should begin while patients are still receiving TB treatment. It looks at examples of successful integration, with a particular focus on the practical organisation of services and workforce to achieve higher rates of diagnosis, TB cure and retention in long-term HIV care. This edition of HATIP looks at successful TB/HIV treatment literacy activities, and at advocacy, communication and social mobilisation techniques. Knowledge and attitudes about disease, treatment and the person with the disease vary widely due to culture, religion or traditional belief systems, access to education, information and other factors. And when it comes to TB, such limited or inaccurate information has a number of serious consequences. Appropriate health-seeking behaviour is delayed when people fail to recognise the symptoms of the TB - and levels of denial are high especially when those with the disease are stigmatised by a misinformed community. These barriers to rapid diagnosis and treatment result in an increased risk of transmitting TB to other members of the family or community - not to mention poor health outcomes in people with TB. There is no question that something must be done to reduce the burden of TB in people with HIV, who have a 5-10% annual risk of TB disease once infected with TB bacilli compared to a 5% lifetime risk in HIV-negative people with latent TB infection. Moreover, people with HIV have a much higher risk of dying of TB disease. This edition explores the findings in a study which showed that taking isoniazid preventive therapy (IPT) for 36 months prevents significantly more cases of tuberculosis (TB) in people living with HIV in a setting with a high burden of TB than simply taking a short course of IPT for six months, according to the preliminary results of the Botswana IPT trial, presented during a special session of the 40 Union World Conference on Lung Health held in Cancún, Mexico from December 4th - 7th. These editions of HATIP are a two-part clinical review of the management of TB in children with HIV. Childhood TB has been a long overlooked area of TB control, but childhood cases of TB contribute around 15% of the total burden of TB cases worldwide. Infants are at particularly high risk of dying quickly from TB, and children with HIV have up to a tenfold greater risk of dying from TB than children with TB alone. Most programs seem to be poorly equipped to deal with most aspects of TB disease in children. There seems to be uncertainty about the size of the problem, which is directly related to problems diagnosing it -or how to distinguish an infection from a case of progressive active TB with limited diagnostic tools. How can programs with limited resources find cases or act to prevent them; are the existing treatment regimens adequate and how should TB care and HIV care be coordinated for HIV-infected children? This edition of HATIP reviews the Three 'I's, those measures that reduce the burden of TB in people living with HIV. This year, approximately 750,000 people with HIV will develop TB, mostly in sub-Saharan Africa. About 230,000 of them will die. Needlessly. But TB is both a preventable and treatable illness so it does not have to be a death sentence in people with HIV. There are three essential activities that all HIV programs should be doing that could protect people with HIV from TB infection, help prevent active disease from developing, and identify active TB disease early and improve the chances of cure - the 'Three I's. HIV programs have been failing to take advantage of the key strategies to manage TB in people with HIV - and it is undermining those very HIV/AIDS services we have been working so hard to establish. This special edition of HATIP covers infection control. It is aimed at health care workers, program planners, community organizations and treatment advocates - all groups that have an important role in TB infection control. Almost two years have passed since news of the outbreak of extensively drug resistant tuberculosis (XDR-TB) at the Church of Scotland Hospital in Tugela Ferry, South Africa was first announced to the world. XDR-TB is defined as TB with resistance to at least rifampicin, isoniazid, a second line injectable drug (capreomycin, kanamycin or amikacin) and a fluoroquinolone. As HATIP reported previously (see December 2006 and January 2008) there was strong evidence that the initial outbreak in Tugela Ferry evolved locally and was spread to other patients at the hospital or possibly within HIV patient support groups. The discovery led to panic and calls for compulsory detention of MDR TB patients, and highlighted the spread of TB within hospitals filled with people with HIV. But after all the hoopla, have our health facilities, prisons, mines, or HIV care services, become any safer? With a few exceptions, there has been little action in many other resource-limited settings. This is a special double edition of HIV & AIDS Treatment in Practice on intensified TB case finding in people with HIV, kindly supported by the World Health Organization Stop TB Department. "Intensified TB case finding" (ICF) is an activity, recommended by the World Health Organization (WHO), intended to detect possible TB cases as early as possible among people living with HIV - usually by using a simple questionnaire for the signs and symptoms of TB. ICF does not mean making a TB diagnosis, but it is the first step towards making a diagnosis. Ultimately for ICF to make a difference, people suspected of having TB should receive a thorough diagnostic evaluation, with timely results, and begin appropriate treatment, either to cure active TB or prevent it. TB control programs generally rely on passive TB case finding - where the onus is on the individual with TB to come in for diagnosis and care. This is a special double edition of HIV & AIDS Treatment in Practice on the provision of isoniazid preventive therapy in people with HIV, kindly supported by the World Health Organization Stop TB Department. Studies discussed in these article underscore that enough is known about IPT that its risks can be kept to a minimum in large programs in resource limited settings, and that it may markedly reduce active TB and improve survival. Theoretically, it might even reduce onward transmission, and the overall burden of TB. So given these benefits, what is holding up national implementation? Available in English, French, Russian, and Spanish.